In a sea of similarly shaped and styled smartphones, how does one standout in 2016? 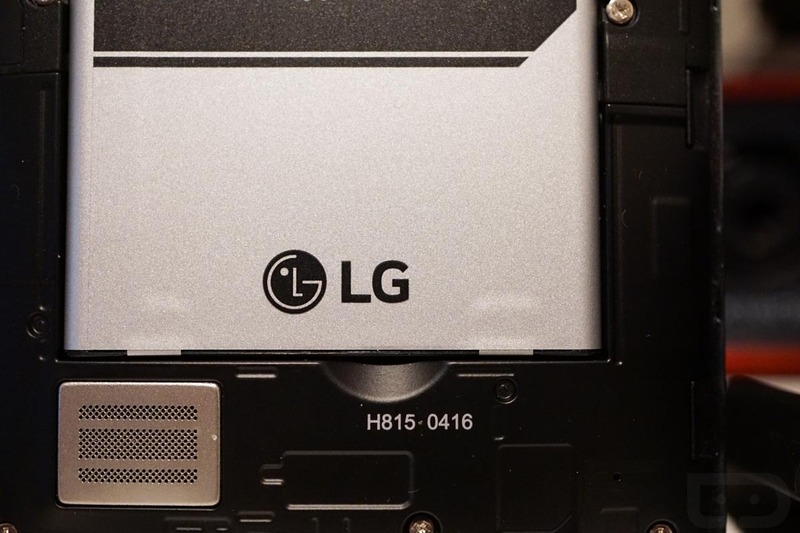 LG seems to be thinking that a modular approach might be the key with the soon-to-be-announced G5. In recent days, we have seen a lot of rumored heat surrounding the phone’s supposed “magic slot.” This magic slot is thought to house the phone’s battery, but could also double as a way to expand the phones audio and photography capabilities. This morning, we believe we have our first look at exactly how this “magic slot” may look with the phone’s standard battery attached. 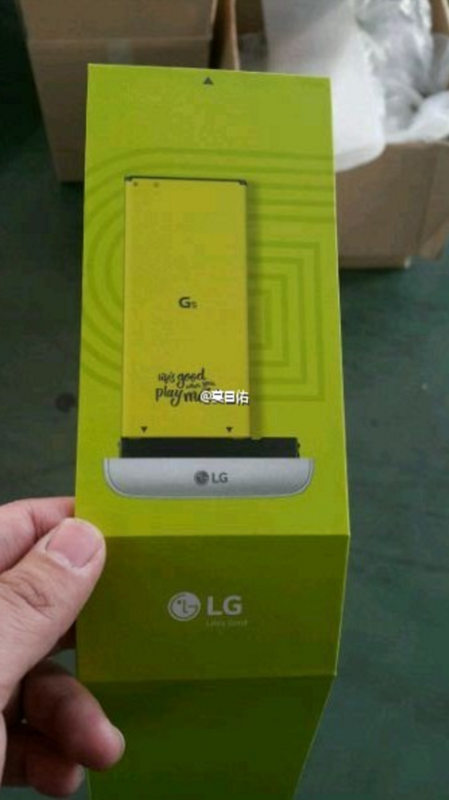 Thanks to a Weibo user who posted the image below, we get what appears to be the retail box for an extra battery for the G5. On the box, there is a picture of a battery attached to a bottom housing that looks like it would be the portion of a magic slot that slides into a phone. The battery also says “G5” right in the center of it. If this is indeed the G5’s battery and magic slot, you can start to visualize how this will all work. You eject the bottom portion of the phone, swap out a dead battery for a full battery, pop it back in, and go on about your day. Or, if we’re talking the “magic” portion of this all, you could attach one of these yellow batteries to an accessory add-on that could expand the phone’s capabilities. This is actually a pretty cool idea should you be interested in tinkering or adding on features to your phone with accessories. Or maybe you are just excited about a swappable battery still being a thing in 2016.